After a short stint off from podcasting, I’m back. And I’ll be talking a lot about what it really takes to create a healthy family. Time off has a way of generating ideas and I had many this summer. But one, in particular, stood out. I got to thinking about how darn hard it is to raise healthy children — and be truly healthy ourselves — in today’s complicated world. It’s mind-boggling how the world has changed in a short period of time. The speed of changing technology is a key driver in all of this. The way we receive information, move (or don’t), connect with others, grocery shop and eat, and the type of jobs available is completely different. Yet, despite all this change many of us use are left with old, outdated parenting and health practices. I believe there’s a mismatch between the tools we have and the times in which we live — and this is what makes parenting hard. Got a challenge? There’s Google waiting for you with answers. But two different people with the same problem will end up with two totally different solutions depending on how they go about finding information. Not all the information out there is credible and there’s always the issues of bias. A new survey shows that 9 out of 10 teens and young adults look to the web for health information, with fitness and nutrition being the most sought-after health advice. Not only will we be discussing how to find the best, most complete information online and elsewhere, we’ll have on guests that are at the top of their field. This is the area most people think about when considering health: physical health. The three important ways to feed physical health include food, activity, and sleep. But knowing what to do isn’t enough and we need to find the best ways to motivate ourselves and our children to want to take care of their physical selves. Especially in a world where the barriers are many. Science is learning new things all the time. The podcast will focus on new and exciting ways to build strong physical health for people of all ages. The buzzword used to be “emotional intelligence” and now it’s “resilience.” I put it all under the umbrella of “emotional health” and it’s just important as physical health (think of what the constant flood of stress hormones do to the body). There’s little doubt our emotional health has taken a hit in recent years. Strong emotional health includes building satisfying relationships, regulating emotions and behavior, managing stress and setbacks, and creating a meaningful life. We will look at all the ways to boost emotional health (and parent around it) and avoid common pitfalls based on the latest science. We don’t have to learn to do everything but there are certain life skills that are important for health and well being. These are things not taught in school and that need to be addressed at home, where they take place. Of special importance are cooking, digital literacy, money management, housework, managing setbacks, and organizational skills. We will focus on how to teach kids key life skills and how to avoid falling into the trap of doing everything for them while they focus on school. Every expert I’ve ever talked to has emphasized the importance of parents being role models. But sometimes we struggle and try to hide it from our kids. 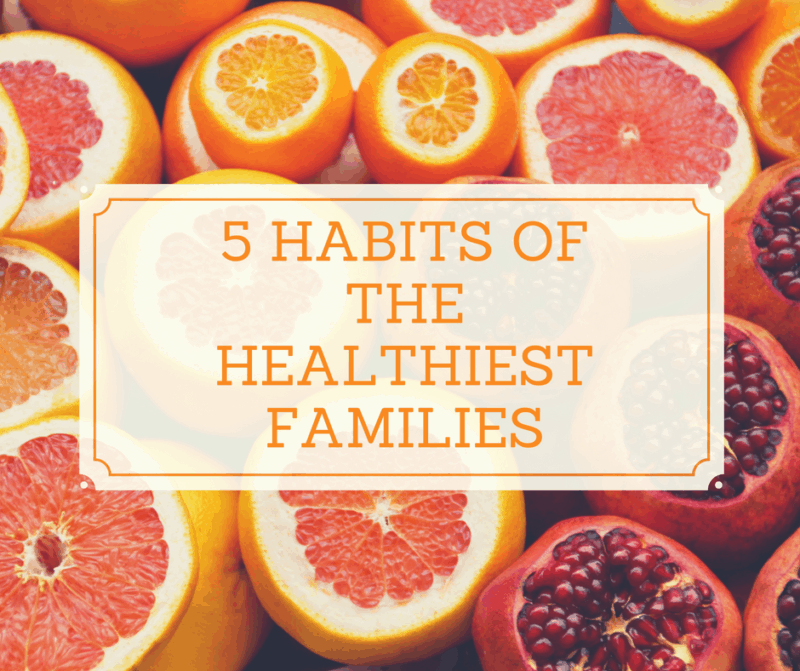 We’ll be talking about ways to parent yourself to health first. After all, this modern world is new to us too. We need to consider the whole family unit, not just kids. And the truth is it’s hard to teach something you don’t have a handle on yourself. We will always be asking the question: is this an area I need to work on first? I will also include episodes dedicated to midlife health issues as this phase of development is all but completely ignored. I’m calling this parenting for health in the 21st century. I hope you’ll join me by subscribing to the podcast below! I am a little behind in listening, but wanted to say that I love the 5 habits/themes you identified. I especially love the focus on understanding how to deal with the onslaught of information out there, and how to deal with our own mid-life health. 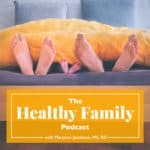 One area of children’s health I would be interested in you adding to your podcast topics is sexual health. I am excited to read your new puberty book for girls and know this could dovetail into this topic nicely. I know that schools discuss sexual health/education very unevenly in our country and as parents we were likely not raised in homes that models these ideas or discussions. Any insights/experts you find appropriate would be welcomed! Thanks for your consideration, and keep up the great work, Maryann! Thanks, Allison. Glad you like the themes! I did one show on talking about sexual development that you can access here https://www.maryannjacobsen.com/2017/10/forget-having-the-talk-with-your-child-how-to-normalize-sexual-development-with-elizabeth-trejos-castillo-podcast/ I would like to cover this more though so thanks for the feedback!